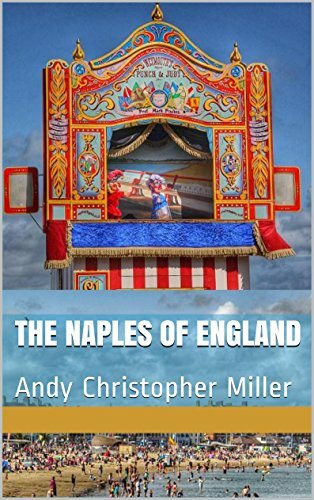 This is a most interesting memoir of a Baby Boomer growing up in Weymouth, Dorset. Miller was born ‘at the beginning of a New Age. 1946. The world had been scoured, scorched and cleansed at a terrible cost. Chance had chosen me and my generation to be its most fortunate beneficiaries.’ I also believe that to be so. These days we tend to forget how very far from that sort of childhood technology and consumerism have brought us, so it is good to remember those endless days when we were, grubbily, in and of the world around us. I remember similar incidents in my own girlhood. Here are the events that remain in the memory when much has been crowded out by the accumulations of adulthood. Some are of important events, some are quirkier. This is the sort of book that many people intend to write, even if only for their descendants. Miller had the sense to start collecting information for his before all his sources were gone. Although the memories are vividly those of a lad between 8 and 16, the surrounding detail must have been helped immensely by input from his parents. Miller is not afraid to dig deeply into his memories. He finds some which are poignant, others which show him in a less favourable light. He is an honest author with a broad palette with which to colour his childhood. The story of his grandfather creating a ship in a bottle is a delight. We learn with him what he might want to be when he grew up, how he discovered a lifelong enthusiasm for rock-climbing, of endless summer days on a beach so full of holidaymakers it was difficult to find your way back to your own encampment if you went to get an ice-cream, of doing bed and breakfast (in defiance of the tenancy agreement) in a house already stuffed full of family, of comic books and bitterns. He speaks of a trip to Chesil Beach and being awed by the power of the roiling water. He relates how he and others from his school walked fifty miles to show the Headmaster what they were capable of. He writes of the first long-haired youngsters (‘Mohairs’’) arriving in Weymouth and the explorations of philosophy and literature they initiated in him. Then there were UCCA forms and suggested sandwich courses and – at last – a light bulb moment of What To Do When I Grow Up. And, finally: London. All the names and places have been renamed. Folk living in and around Weymouth will have fun identifying the places he talks about from the geography he describes on his way from here to there. There is a final chapter which deals with memories from his parents which sets him back on his heels. Two incidents occurred before he was old enough to retain any memory of them himself. But both are huge. And neither was ever spoken of within the family. Miller discusses what he comes to know of the events and one feels his dismay and his need to set this down, so that the people concerned are not forgotten. This entry was posted on December 13, 2018 at 2:57 pm and is filed under book reviews, Uncategorized. You can follow any responses to this entry through the RSS 2.0 feed. You can leave a response, or trackback from your own site.